Kara Marketing (M) Sdn Bhd was founded in year 1999. 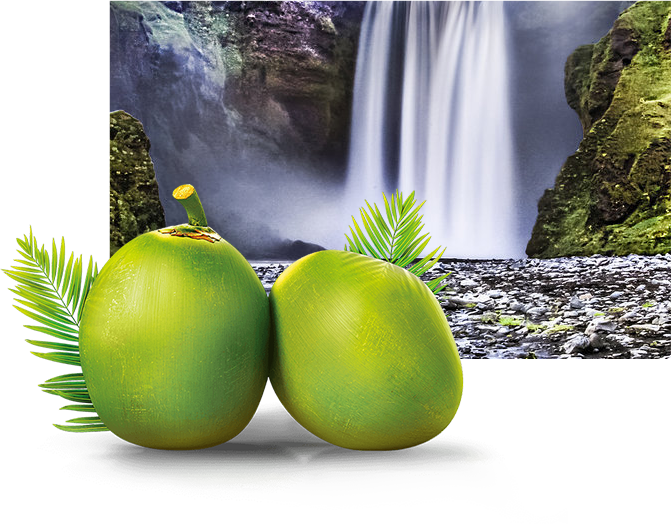 Today the company has emerged as one of the market leaders in coconut based products. Kara Marketing has grown and expanded as a consumer goods distributor and owner of home brands such as Kara, KARTA, Akasa and Naco. 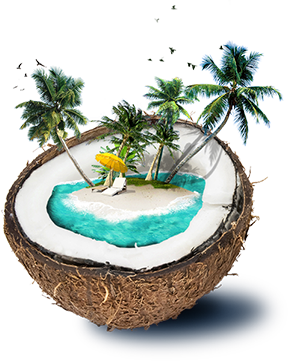 Coconut water comes from the juice present inside the interior cavity of the coconut. It is one of nature’s most refreshing drink, consumed worldwide for a wide range of nutritious and health benefitting goodness. That is why it is widely considered a precious gift from nature. Coconut water is mildly sweet with a nutty flavor and naturally sterile. It is a superfood packed with sugars, electrolytes and minerals which are good for replenishing dehydration inside the human body. So much so coconut water has gained international acclaim as a natural sport drink for oral rehydration of lost fluids. Electrolytes function in many of the essential chemical and electrical reactions that occur in our bodies. 5 Essential Electrolytes that are present in Coconut Water. Potassium - The most important positive ion (cation) inside our cells; it helps regulates heartbeat and muscle function. Calcium - Important for bone and teeth health. Phosphorus - Plays important roles in bone health, but also in transferring energy throughout our body, helping our muscles contract and regulating nerve function (partners with calcium). Magnesium - Important for maintaining the electrical potential of cells, proper muscle function, and preventing calcium overload. Sodium - The most important positive ion in fluid outside cells, and also the one most depleted with excercise when you lose sodium through loss of bodily fluids. 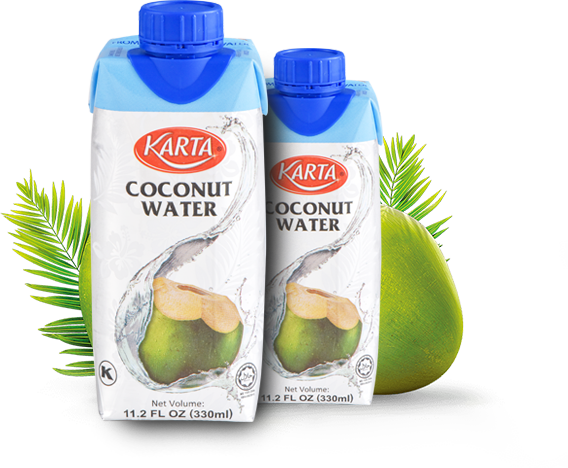 KARTA coconut water is made from 100% natural coconut water. 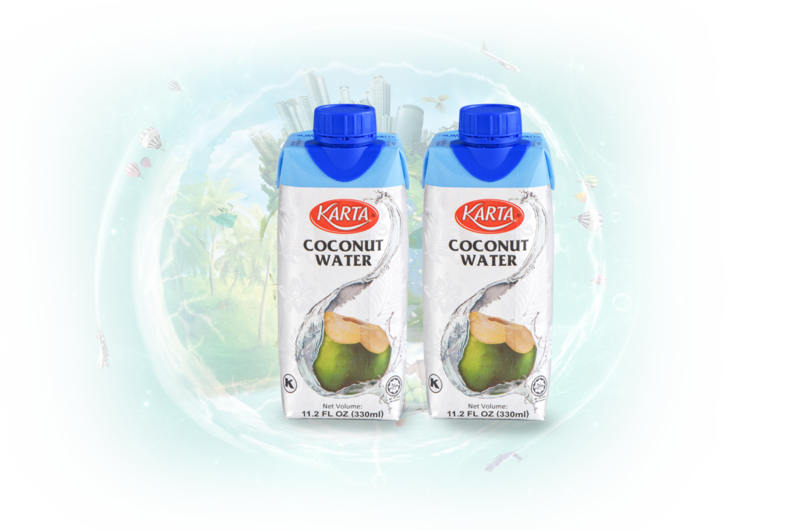 Thanks to advanced technological breakthrough, now we can preserve fresh coconut water in Tetra Prisma® Aseptic Pack with its original nutty taste and natural goodness, ready to drink at anytime, anywhere. Absolutely no preservatives, colorant or artificial sweeteners are used. 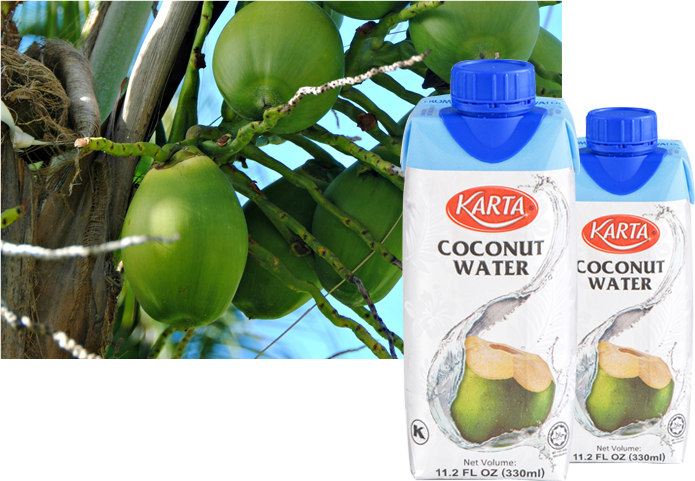 KARTA coconut water has also been JAKIM Halal and Kosher certified. Enjoy the gift of nature, anytime, anywhere! © 2017 Kara Marketing (M) Sdn Bhd. All rights reserved.